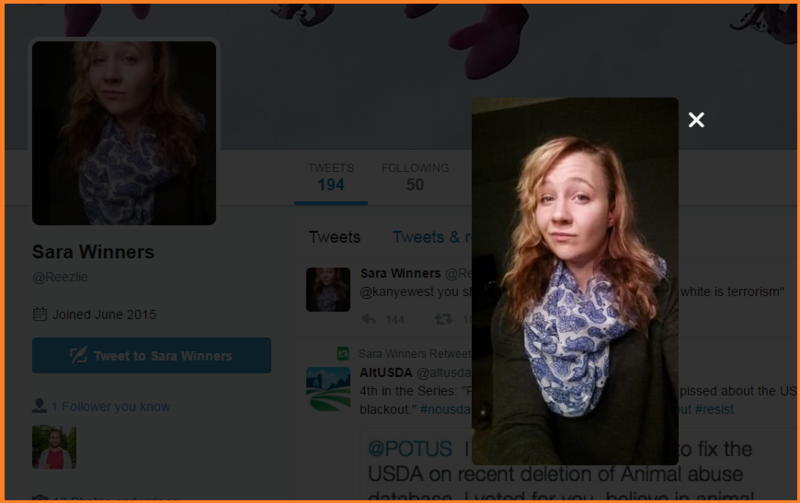 The 25 year old former US Air Force #NeverTrumper, born Sarah Leigh Winner, who held a top secret security clearance and maintained a very public anti-Trump presence on Social Media gets a job with NSA contractor Pluribus International and starts work in a Georgia NSA facility February 13th. May 5th – the date the leaked document was allegedly created, detailing what the NSA claims are the results of an investigation into Russian election hacking based on new information received in April. The report is weak sauce – spend 5 minutes and read it… There is zero evidence of Russian hacking or influence – only a thinly supported narrative about an alleged spear phishing campaign and it’s potential victims. On May 9th, four days later – Winner printed, removed, and snail mailed this top secret classified intel which offerings absolutely zero proof to support its claims to The Intercept. 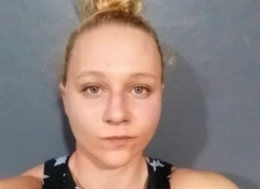 May 30th – The Intercept contacts a ‘government agency’ to let them know about the documents mailed to them by the rogue NSA contractor. The online magazine then proceeds to throw Winner under the bus by giving the NSA / FBI information which they used to easily identify her. June 5th – The Intercept publishes a report ‘confirming’ Russia hacked the election. 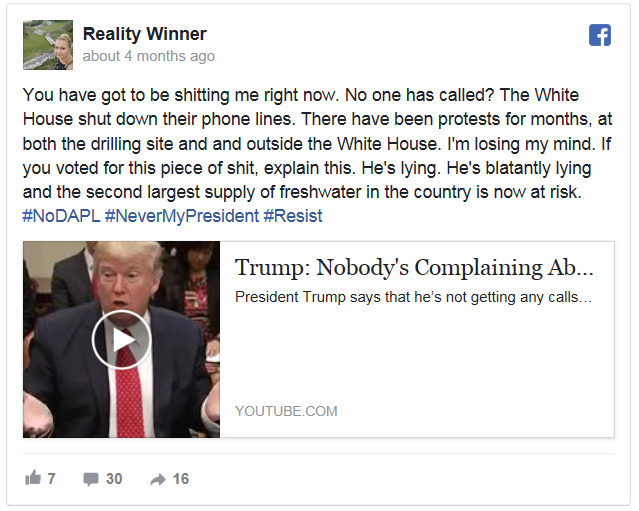 At the end of the day, Reality Winner just risked 10 years in prison for leaking documents which offer zero proof of Russian hacking.